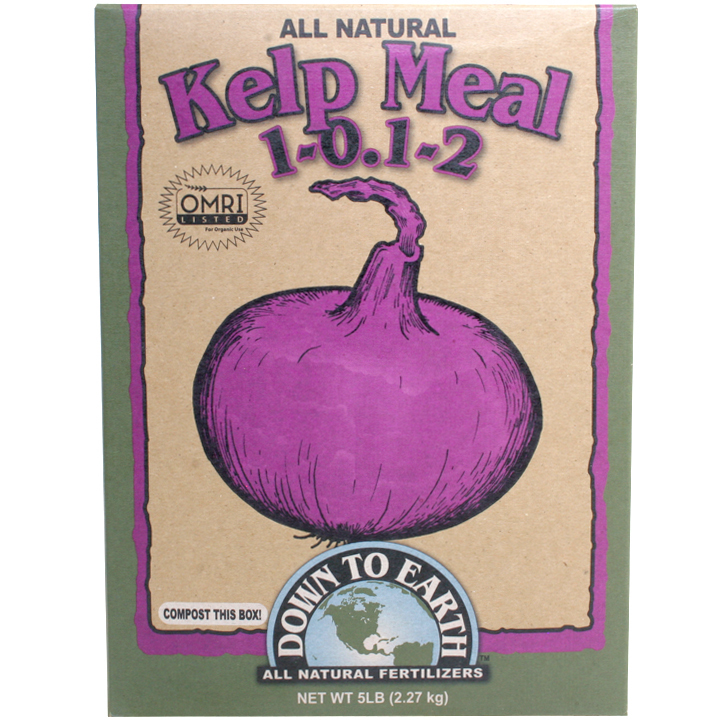 A rich source of potash, trace minerals, amino acids, and natural plant hormones, Down to Earth's Kelp Meal should be used in seedling mixes and potting soils to stimulate root development, stop transplant shock, boost growth, prevent fungal problems, and alleviate stress caused by fluctuations in temperature extremes. 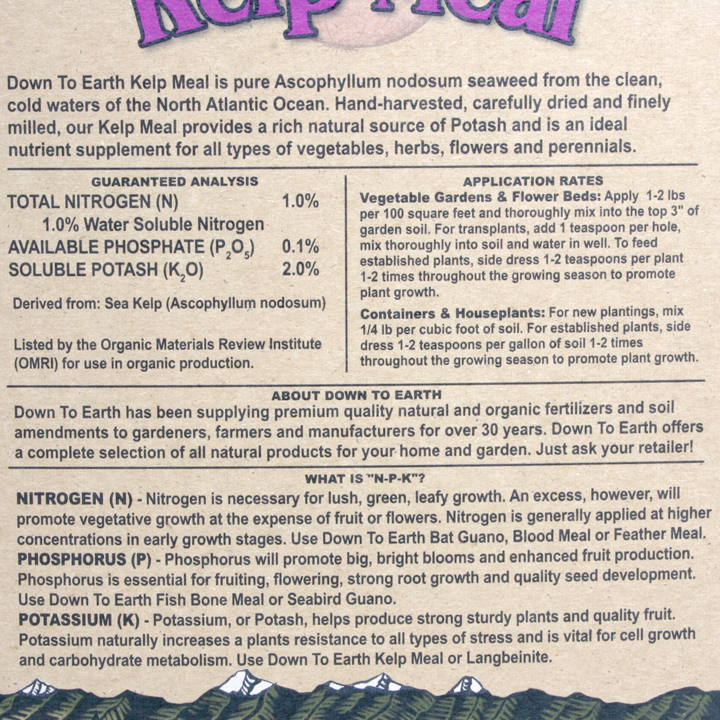 In soil, Kelp Meal creates a beneficial bond with nitrogen and phosphorous, releases locked-up minerals like calcium and magnesium, and is essential to the maturity of root crops and roses. Vegetable Gardens & Flower Beds: Apply 1-2 lbs per 100 square feet and thoroughly mix into the top 3" of garden soil. For transplants, add 1 teaspoon per hole, mix thoroughly into soil and water in well. To feed established plants, side dress 1-2 teaspoons per plant 1-2 times throughout the growing season to promote plant growth. Containers & Houseplants: For new plantings, mix ¼ lb per cubic foot of soil. For established plants, side dress 1-2 teaspoons per gallon of soil 1-2 times throughout the growing season to promote plant growth.